Each car enthusiast seeks to equip a decent garage for his “iron horse”, which will allow to preserve the excellent appearance of the car and significantly increase its service life. In addition to strong walls, reliable floor and well-executed ventilation, it is very important to have a properly designed and high-quality garage roof. 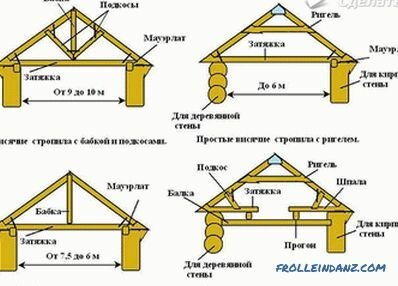 If you have the desire and knowledge about how to properly make the roof of the garage, then this type of work can be done independently. 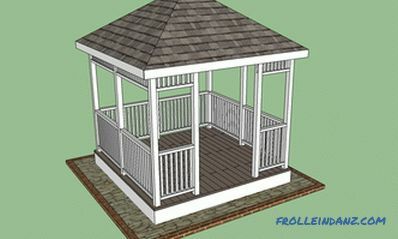 Let us consider in more detail issues related to the construction of the roof for the garage. Reliability design. The roof must withstand temperature extremes and atmospheric loads corresponding to your climate zone. It should be borne in mind that the heavier the overlap, the more powerful the walls must be in order to withstand this load. 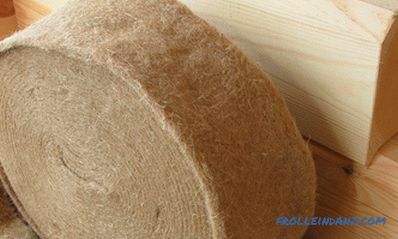 Good hydro and thermal insulation. To exclude moisture from precipitation on your car and create favorable conditions for its storage. Use of non-combustible materials. Garages are premises with a high fire hazard, so it is extremely important to use non-combustible materials in their construction. Attractive appearance. Allows the garage to blend in harmoniously with the overall look of the estate. Moreover, if the garage adjoins the house, then its roof should be made in the same style. Shed (flat). 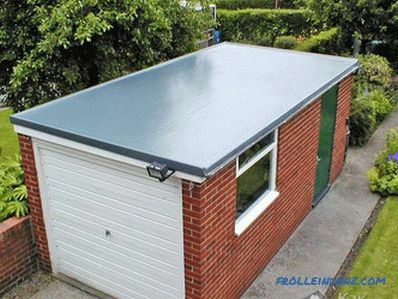 It is the simplest type of roof for a garage. It is characterized by a small amount of the required material. Most often, the angle of the slope is 20-30 °, but if you wish, you can reduce the angle to 10 °, providing the required level of structural resistance to the effects of precipitation. 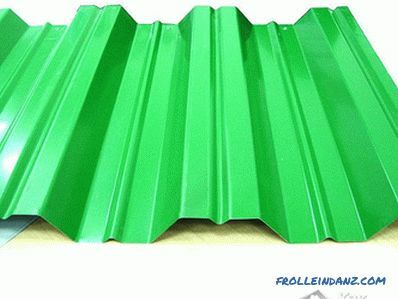 The fastest method of manufacturing this type of roof is the use of floor slabs, which also have low thermal conductivity and good sound insulation. This option optimally solves fire safety issues. The gable. With all the beauty of this design, it is more difficult to manufacture and expensive. Therefore, the choice of this option is made mainly for architectural reasons or in connection with the need for the device attic space for storing a variety of things. When building a gable roof, it is necessary to make a ceiling and insulate it. The construction of this type of roof contributes to its excellent view from the side, so you should not use cheap roofing materials, so as not to spoil the overall impression of the structure. Slate. Quite popular roofing material with a long service life (up to 40 years). 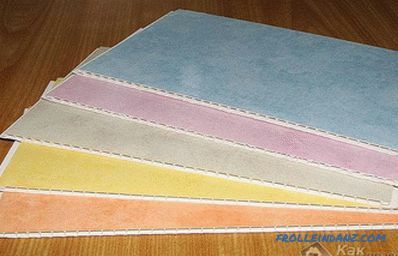 It is made of light asbestos-cement slab with a high degree of wear resistance. Compared to corrugated flooring, slate has more weight and requires a stronger and more reliable truss system. Slate is laid in rows from the bottom up, followed by an overlap (about 20 cm). 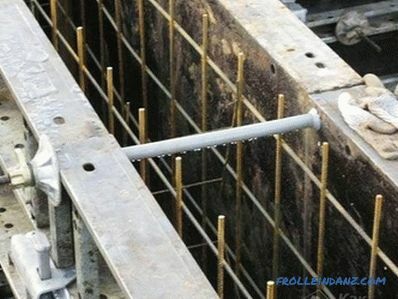 Fastening to the crate is performed using special nails, and it is desirable to drill holes for them. Ruberoid. The main advantage of rolled roofing material is its low cost, sufficient coating strength and effective protection against water. 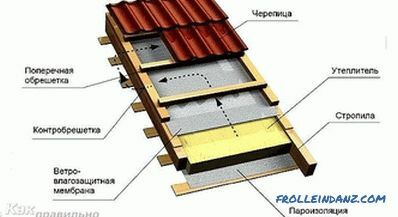 The service life of the roof made of roofing material with proper operation reaches 15 years. This roofing material is mounted on a continuous crate. The first step is to prepare the foundation for the roof. Then, just before laying the first layer, it is necessary to smear the base with bitumen mastic, roll out and press the roofing material. 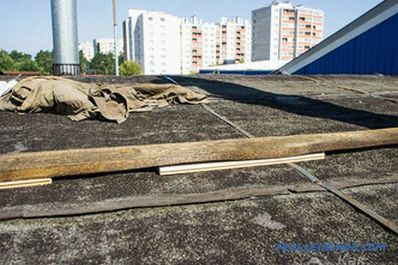 Installation of strips of roofing material is made from the bottom up with an overlap of 20 cm. This method of laying prevents water from flowing into the joints between the sheets. Further, in a similar way, only in the perpendicular direction, the second layer is laid. And finally, after coating with bitumen mastic, it is necessary to lay the third layer, also in the direction perpendicular to the previous layer. Decking. This material has gained popularity due to its long service life (up to 50 years) and low weight, which allows to reduce the cost of building a truss system and making crates. Decking is made of steel coated with a polymer coating or a layer of zinc (galvanized steel). Giving a characteristic trapezoid profile is produced by cold rolling. 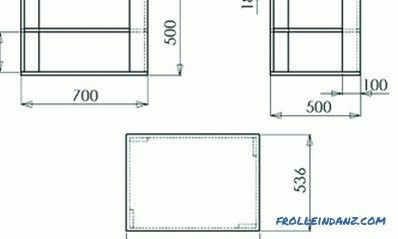 The dimensions of the sheet and the specific shape of the profile are different for different models. 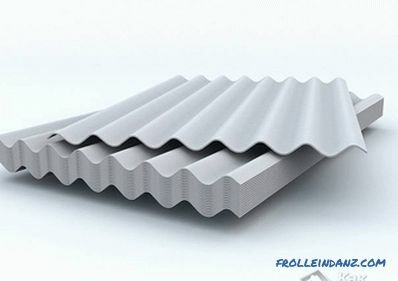 Installation of sheets produced overlap about 20 cm, bottom-up.The sidewalls, edges and tops are decorated with special profiles. When creating a roof on the basis of corrugated board, it must be waterproofed and insulated. A properly designed and constructed garage roof will allow you to be sure that your car in the garage is not threatened with leaks and is well protected from the vagaries of the weather.